AR technology will completely change the way we see the world. AR offers the biggest potential for the commercial market in leading key sectors. Enterprise use cases are rapidly evolving. Where it was once imagined that AR using smartphones and tablets would be the strict purview of consumer use cases, the practicality and the ubiquity of mobile devices have opened legitimate, sustainable markets for enterprise use cases. Smart glasses capabilities have evolved, opening new opportunities in the enterprise space. While assisted reality simply overlays digital information on your vision, mixed reality (MR) has positional tracking and depth sensors to provide a more immersive experience, enabling interactions with holographic objects. Applications for augmented reality are broad from an enterprise, education, gaming, and military to uses augmented reality to assist men and women making repairs in the field. 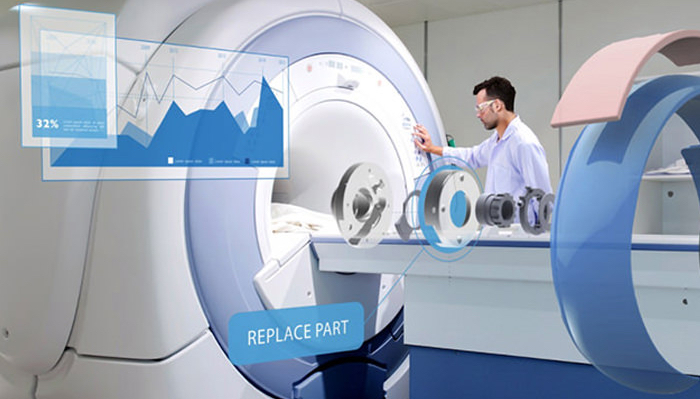 Applications of AR/MR can be as simple as a text notification or as complicated as an instruction on how to perform a life-threatening surgical procedure. They can highlight certain features, enhance understandings, and provide accessible and timely data. Cell phones apps and business applications are a few of the many applications driving augmented reality application development. The key point is that the information provided is highly topical and relevant to what you want you are doing. Let’s take a deep-dive into AR/MR Technology with a number of use-cases showing how total immersion is defining a technology and making it real for businesses and consumers alike. Consumer-facing AR/MR (Extended Reality XR) solutions have already gained mainstream acceptance—from Pokémon Go’s smash summer 2016 success to Facebook’s investments in the emerging technology to Apple’s release of ARKit, the AR consumer market is primed for integration into everyday life. 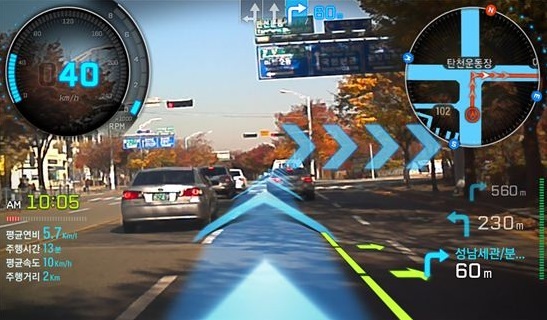 However, according to the Augmented Reality for Enterprise Alliance, AR’s adoption is happening more quickly in the enterprise space, indicating that early adopters expect the technology to be a major boon for innovative companies who want to boost productivity and create efficiency gains for their employees. PTC has been working with a number of them in a beta/proof of concept capacity. I heard from several during LiveWorx, starting with a live AR demonstration at the day one keynote from Caterpillar. Terri Lewis, Digital & Technology Director at Caterpillar Inc., demonstrated AR’s impact on field service equipment maintenance and repair. 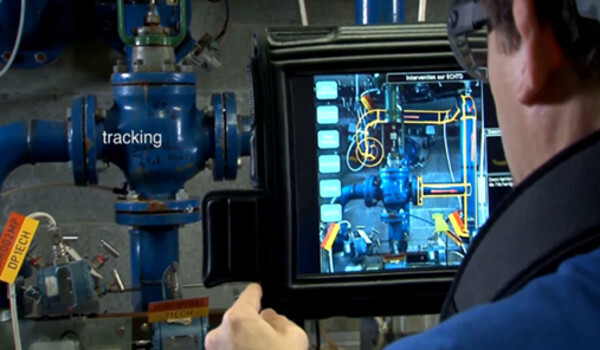 The emergence of new devices such as Tablets, Smartphones and especially Augmented Reality Eye-Wear has encouraged the development of applications in the area of industrial maintenance and informative. Using a head-worn display, a mechanic making repairs to an engine can see superimposed imagery and information in their actual line of sight. The procedure might be presented in a box in the corner and an image of the tool that they would use can illustrate the exact motion the mechanic needs to perform. The augmented reality system can label all the important parts. Complex procedural repairs can be broken down into a series of simple steps. Simulations can be used to train technicians which can significantly reduce training expenses. The development of Augmented Reality Technology to assist industries with the precise site or field information in real-time is today a foreseeable reality to be used in almost any domain. For instance, a project management in building and construction will be more easily and safely carried out when site managers can virtually view and monitor work in progress in real time through Augmented Reality markers placed on parts or equipment being built. 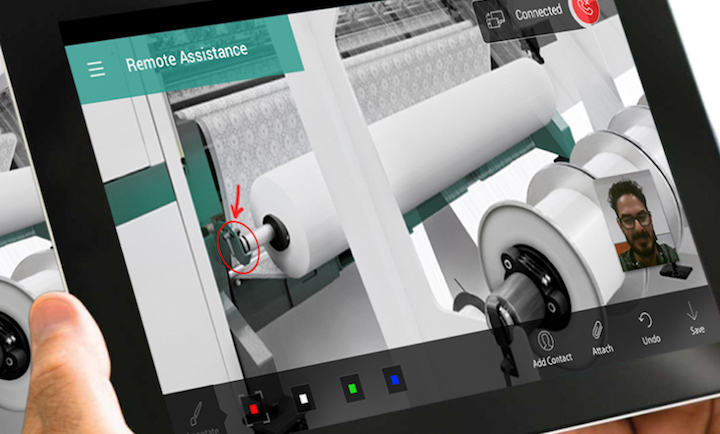 Pointing a camera to factory on-site piece of equipment can match it to the digital map of the plant and verify it is in its designated location, not only freeing the staff from cumbersome paper layout plans but also providing the operators with virtual contextual information. When instructing a hands-on course that requires equipment, the proper demonstration is key for success. But with expensive, inaccessible equipment, or on the scene situations difficult to reproduce, Augmented Reality can be your new solution to avoiding these costs all together. 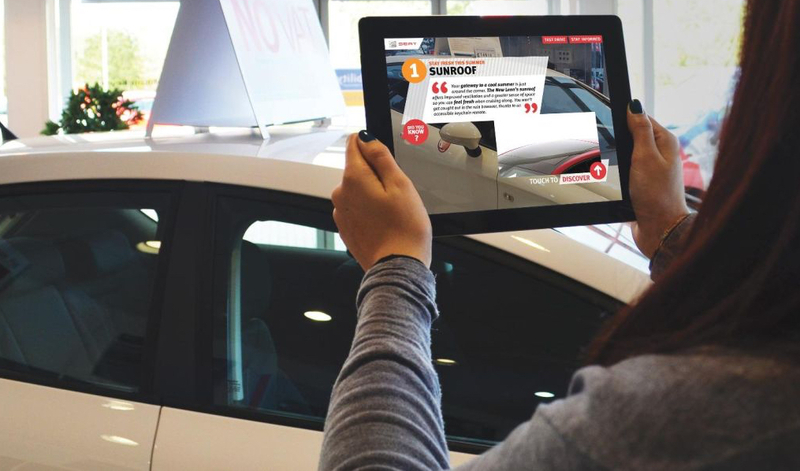 It is now possible with advanced Augmented Reality Applications to provide more authentic learning and engage learners in ways that were never possible before. Each student can have their own unique discovery path through real-life immersive simulations, with no time pressure and no real consequences if mistakes are made during skills training. The Combining of Two Innovative Technologies, Geolocation and Augmented Reality are possibly the most natural fit of augmented reality with our everyday lives. Enhanced GPS systems are using augmented reality to make it easier to get from point A to point B. Using the phone’s camera in combination with the GPS, the users see the selected route over the live view of what is in front of the car. The number of handsets that have Mobile Augmented Reality Systems (MARS) enabling technologies coupled with geolocation has risen tremendously. It is a pioneering approach bringing a whole new meaning to sighting, leisuring and socializing, transforming these activities into fully interactive 3D discovery experiences. And for marketers, the limits of Mobile Augmented Reality are endless with a tremendously exciting potential for exponential growth. One of the latest must-have marketing tools is using Extended Reality to associate such a concept to your brand by emerging the user inside a world of fantasy. Augmented Reality now brings you the possibility to tie in your product to a famous character to build a thrilling virtual experience in the form of a story or a game for your targeted consumers. The user just holds up your product packaging or chosen support to a webcam to sprout the virtual reality animated object through his PC screen. He is then able to interact with it and control its movements. Pokemon GO has brought attention worldwide to one of the most exciting technologies to have come to the consumer space, Augmented Reality. 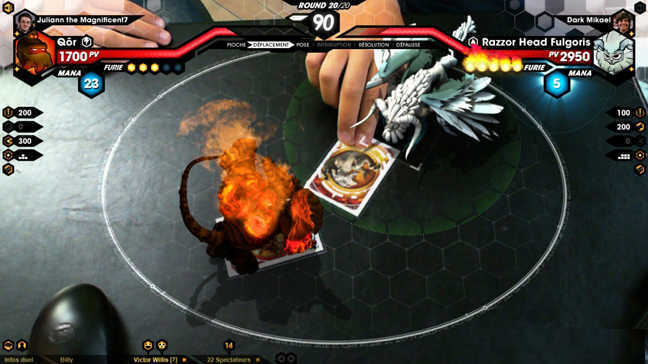 Augmented reality gaming (AR gaming) is the integration of game visual and audio content with the user’s environment in real time. Pokemon GO, considered the breakthrough AR app for gaming, uses a smartphone’s camera, gyroscope, clock and GPS and to enable a location-based augmented reality environment. Augmented Reality enhances your product value proposition by embedding its capabilities in a fully gamified AR experience. Mixed Reality gaming is merging with social network solutions and ready for the mainstream with a new immersive way to experience challenges. When Social AR game is associated with your product, to your brand message, it creates the possibility of massive player engagement and can drastically increase brand recognition. This a key factor to success which can generate thousands of qualified leads. There are a number of applications for augmented reality in the sightseeing and tourism industries. 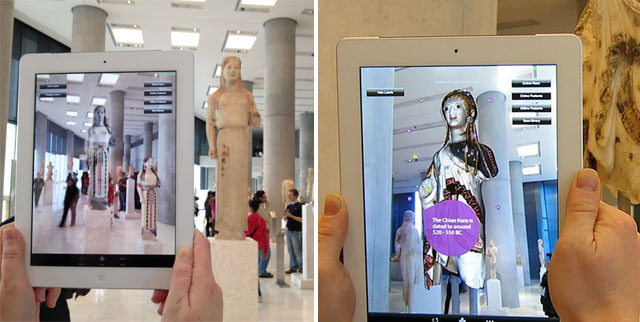 Out in the real world, sightseeing has been enhanced using augmented reality. Using a smartphone equipped with a camera, tourists can walk through historic sites and see facts and figures presented as an overlay on their live screen. These applications use GPS and image recognition technology to look up data from an online database. In addition to information about a historic site, applications exist that look back in history and show how the location looked 10, 50 or even 100 years ago. You are not sure what exhibition a museum is running, just take a snapshot and you will be taken for an Augmented Reality preview before choosing to step in. The ability to augment a live view of displays in a museum with facts and figures is a natural use of the technology. Extended Reality is the next evolution of the way we consume information, putting it where we need it, when we need it, in the manner in which it is most useful to us, and without the physical limitations of our current solutions. The Future: What’s next in Extended Reality? Augmented Reality is fundamentally a new technology that will enable the next generation of computing. AR is the future because it’s a lot more socially acceptable than virtual reality. The wearable revolution is heading beyond Google Glass, fitness tracking and health monitoring. The future is wearables that conjure up a digital layer in real space to “augment” reality. AR is going to be an important technology that changes how we use our phones. There is a long roadmap of technology to build for years. That long roadmap included creating glasses and eventually contacts to see the world through an augmented reality lens. AR enhances people’s interactions with the real world, and if we’re willing, it can enhance how we collaborate and communicate with each other. We already see that happening in fieldwork, e.g. maintenance workers and mechanics in the field, where AR is being used for remote assistance and troubleshooting. Across other industries, AR is going to be the next platform for people to explore and create experiences based on the world around them. We are locking for Enhanced Reality Simulation Technology V R & 3D software program with devises Test technicians in various disciplines through it.